All museum closures are disruptive. But the 10-year closure of the Rijksmuseum, in Amsterdam, for a roof-to-basement rebuild has been something more serious. As the world’s most complete and emblematic collection of Dutch art from its heyday in the 17th century — the so-called Dutch Golden Age — the Rijksmuseum has a particularly intense relationship with its contents. No other national identity is entwined with its national collection quite as inextricably as this. 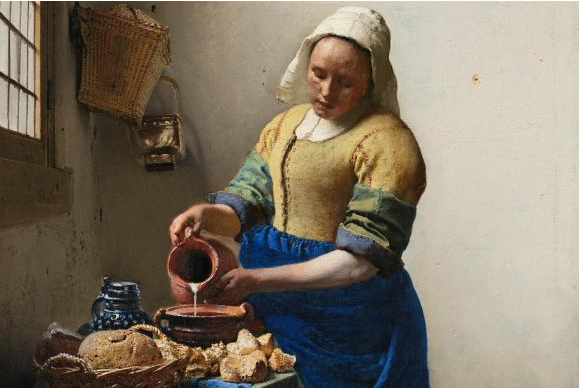 The 10-year disappearance seemed to take the entire Dutch Golden Age with it. Rembrandt, Frans Hals, Ruisdael — where the hell have they all been? For the first crucial decade of the 21st century, Dutch art simply wasn’t there in the way it used to be. Which is not to say the great gutting was unnecessary. Far from it. Completed in the 1880s in a particularly doomy medieval style, then fiddled with relentlessly for the ensuing century, the Rijksmuseum was a mess. Its original architect, Pierre Cuypers, had seemed blissfully unaware that the Middle Ages were over. All those towers, all those vaulted basements. As you blundered through the old Rijksmuseum, searching hopelessly for its famous masterpieces — Rembrandt’s Night Watch, Vermeer’s Milkmaid, The Meagre Company, by Frans Hals — the wails of the hunchbacks incarcerated in its attics seemed to echo through the murk and haunt you. Cuypers’s 20th-century successors patched and repatched his handiwork with unusual frequency, as if seeking to obliterate what was there, rather than improve it. From the 1960s onwards, their chosen material was hessian. Aaaghgh! So the first thing to report about the big rebuild is that it feels like a throwing open of all the windows. Wherever possible, light has been given access and allowed to spread. In particular, a huge atrium with a stretching glass roof has been discovered at the heart of the building. Apparently it was always there, under the hessian, but the incessant rebuilds had filled it to the rafters with offices and storage spaces. These have all been removed, leaving a lofty and airy welcoming hall through which, amusingly, the relentless cyclists of Amsterdam can be seen buzzing along a glass corridor that cuts the Rijksmuseum in two. The museum people wanted to detour them round the building, but the cyclists refused. This is Amsterdam, after all. 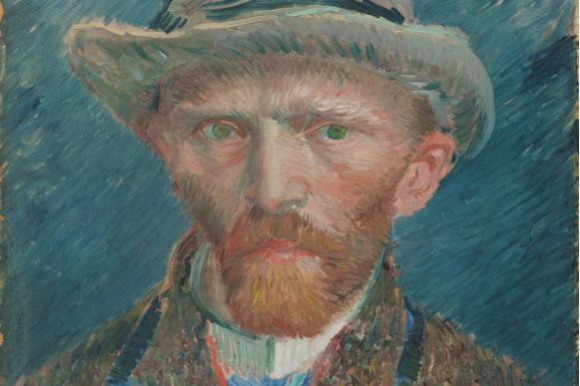 Van Gogh’s Self Portrait, 1887The architects of the rebuild, the Spanish duo Cruz y Ortiz, have returned where possible to the original configurations. Cuypers’s decorative scheme, a pseudo-medieval pictorial cycle that retells the history of the nation as a heroic costume drama, has been rediscovered dotted about the landings. I have no idea who all the knights and monks are, or what they are saying, but they suit these spaces, and their reappearance makes the building look at ease with itself again. Although there are now 80 galleries where previously there were 30, the extra space has always been there, disguised as broom cupboards and staff canteens. The sense of clarity that distinguishes this excavation extends also to the new hang, in which everything has been given a chronological route to follow. Hallelujah. In the old Rijksmuseum you were never sure what was coming round the corner. It could be an early Rembrandt. Or it could be a rusty cannon. Sometimes it was medieval sculpture. At other times it was rococo mirrors. Because this is the national museum of history, as well as the world’s finest holding of Dutch art, all sorts of mismatched territories had at some point made a land grab. You really had no choice but to trust to accident. Not any more. The blundering about has now been replaced by a clear journey that unfolds across the four floors of the museum. The first floor goes from the Middle Ages to the Renaissance. The second floor — the one with the finest spaces — celebrates the Dutch Golden Age. The 18th century has its own floor. And finally, at the top of the building, a whole new collection is devoted to the 20th century. The thing about chronology is that it really is the simplest and most direct way to tell you where you are. It anchors you. With that important task fulfilled, the rest of the hang is free to be as inventive as it wants. Thus the painting collection has been integrated with the other museum holdings in a fashion that is consistently informative and fresh. For example, one of the finest rooms on the Golden Age floor is devoted to early Rembrandt. It contains his first self-portrait, painted when he was 22, in which he stares out at us fiercely from deep within a mysterious shadow. Also here are those early religious scenes that seem to be set in front of the fire in the cottage next door, rather than in the tumultuous pages of the Bible. All this is on the walls. But between the pictures, on the floor, various superb examples of the decorative arts fill out the Rembrandt experience with such useful asides. Thus the brilliant cabinet-maker Herman Doomer, a friend of Rembrandt who appears in a marvellous portrait that hangs in the Metropolitan, in New York, is the maker of a stunning ebony cabinet inlaid with mother-of-pearl that sent my tongue to the floor with a loud slap. What a spectacular piece of cabinet-making. Doomer, who specialised in the use of expensively imported ebony, also made Rembrandt’s frames. process of using the entire width of the collection to keep us three-dimensionally informed is continued throughout. Up in the 20th-century rooms, which work amazingly well given that they had to be invented from scratch, a threadbare inmate’s jacket from a Dutch concen­tration camp looks across at a collaborationist game of chess, in which the pieces are modelled on Nazi army details: tanks, rockets, infantrymen. Inlaid along the outside of the board are the names of all the territories you can win: Poland, Denmark, Austria. The refurbishment took as long as it did because of the technical difficulties encountered below ground, where some of the basement spaces ought naturally to be under 10 metres of water. But the upside of a 10-year refurbishment is that it gives the curators ample time to plan the journey. Everything here has been so carefully thought out, including those moments when the educational ambitions are put on hold and we are confronted by nothing more complicated than a parade of great paintings, perfectly lit, and that’s it. The most spectacular such vista runs down the middle of the floor devoted to the Golden Age, in a display called, with uncharacteristic Dutch cockiness, the Gallery of Honour. First there’s Frans Hals with his merry drinkers. Then there’s Jan Steen with his naughty kitchen maids. A set of thunderously dramatic landscapes by Ruisdael quickens the pulse. A set of shimmering Vermeers slows it down again. Finally, at the end of the view, providing it with a mighty conclusion, is Rembrandt’s Night Watch. This one vista alone is worth the lost decade.